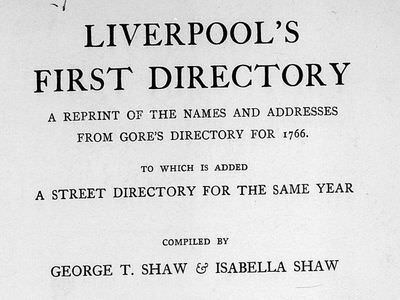 The first five issues of Gore's Liverpool directory were reprinted in the early 20th century. 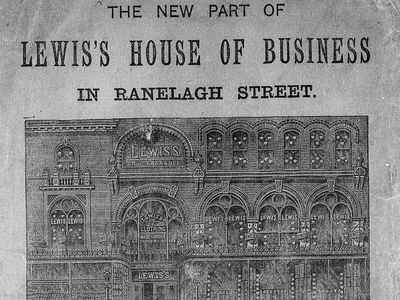 These are reproduced here with links to the images of surviving original copies. 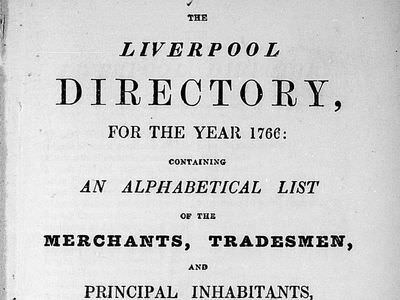 Over the years, a number of other publishers tried to emulate Gore's success but in vain, as this small group of directories, representing all those for the period held by the Liverpool Record Office, attests.